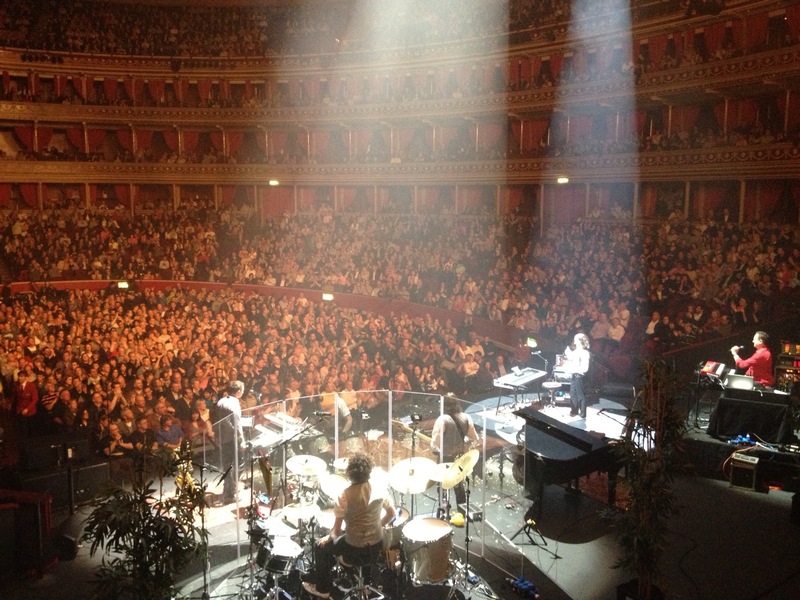 Including the Royal Albert Hall! Also a couple nights in Paris at the famed Olympia. 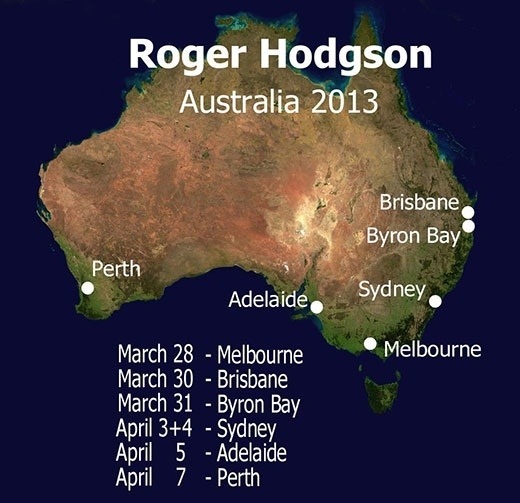 One of the world’s greatest singer-songwriters has just begun a new tour of the world. And happily, this tour is called “Breakfast in America,” not only cementing his reputation with that much-adored album, but beginning, indeed, here in America. Then going farflung through many lands. Then returning Stateside (some dates below). It’ll be a grand year. Oh, and I should probably mention, for the sake of legacy, that Mr. Hodgson rose to fame as co-founder, writer and singer of most of the hits of the classic-rock band Supertramp. However, as we entered upon the sound-check to find his new band deliciously working out the vocal arrangement for “Hide in Your Shell,” an exciting factor immediately arose: This is not a bunch of dusty proggies churning out yesteryear’s 20-minute jams. Nor is this some brand-name band sans original lead singer, struggling to offer up a substitute. Rather, this is the real deal: a legendary music man, in brilliant form and shimmering presence, supported by a tight, terrific band. When you can catch a show, go. 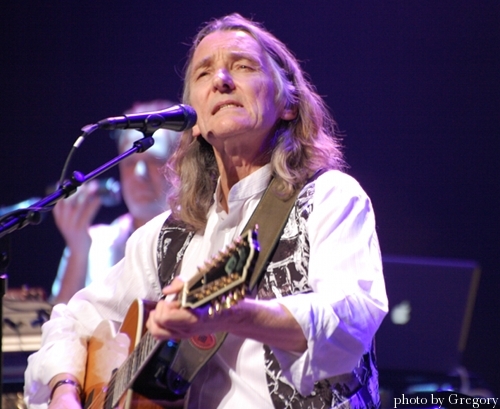 An evening with Roger Hodgson will raise your standards of concert-going. I met the charming and gracious Mr. Hodgson backstage, and asked him about the intricacy and sensitivity of his songs: Does he approach them differently now than when he first wrote them? “You know, I just have a real appreciation of most of the songs,” he objectively relates. “They’re still very valid, and they came from a very deep place, most of them. They were very personal, very autobiographical, and not contrived. I don’t know whether bravery entered into it, I didn’t think of it. For me, I was alone, and I just expressed whatever I had to express, and that’s what came out. There’s some pretty raw, vulnerable emotions in those songs, and yet I think in a way I was a voice for a lot of people who had those same emotions, but had no way to express them. Because we all put on brave faces for the world, and yet underneath it all, we’re all insecure, or all have these questions: ‘What the hell’s life about?’ or whatever it is, you know? “To tell you the truth, actually, my deepest longing: I really wanted to know why I’m here! What is God? ‘God’ is the most misunderstood word, and the most abused word, in a way. And yet we’re part of it — there’s a very intimate relationship we have with God: in however we understand it; everyone understands God in a different way, but it’s very linked with the purpose of us being here. “And so a lot of what I went to, when I went to an instrument and wrote, is I went to that place inside, of real deep longing: longing for love, longing for God — and to me it’s the same thing, really. Longing for belonging, longing for home. A lot of my songs are talking about wanting to go home, wanting to find home. Home, really, is where you feel at peace, and feel like you belong, and it’s an internal thing, it’s not ‘out there’ — and yet we’re not taught that in school, or in very few places in the world. So that was really the place of inspiration, I think: really calling for that place where I felt at peace, and where I felt more unified inside myself. And that came out in a variety of the songs. “And I think, I don’t know, you’ll meet a lot of the fans. The connection they have with the songs, and obviously with myself too, is a very deep one. And I think it is because I just — I am who I am. I don’t try to be anything different, and I just put it out there in my songs: who I was, and who I am, and what I’m feeling. And I think there’s a lot of very sensitive people out there, who’ve felt an element of safety, because suddenly there’s an artist who was expressing what they were feeling. It helped them not feel so alone, really. 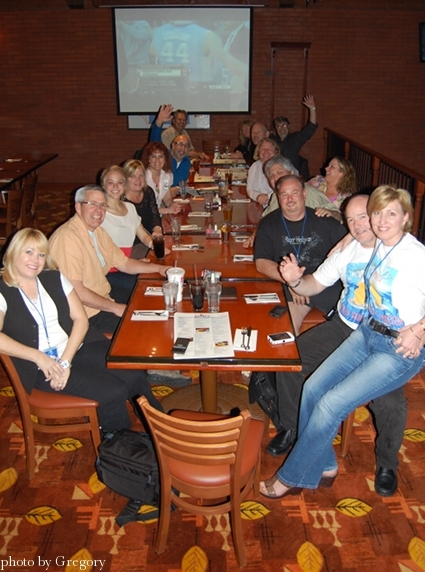 Post haste, I find myself in the press of the fans, who foregather at Roger’s shows and have formed an organic global community, based on their love of his music. A-OK, but I still abide in the harsh city (Los Angeles) Mr. Hodgson exited three decades ago — so (to quote “The Logical Song”), it’s easy for me to slide into “clincal, intellectual, cynical.” My first thought is: “WHITE!” (which, to be fair, is not uniformly the case on Mr. Hodgson’s international tours); and my second thought, as I am greeted with passionate story after story after story, is: “WHOAH!” We’re already well outside my comfort zone (in a meat-heavy restaurant in a smoky casino), and I’m starving (though not spiritually), and it’s mighty challenging for “such a simple man” to process the massive outpouring of affection, humanity and life Mr. Hodgson very demonstrably inspires amongst his aficionados. But we’ll touch on a few key moments. And then, just as suddenly, it’s showtime. 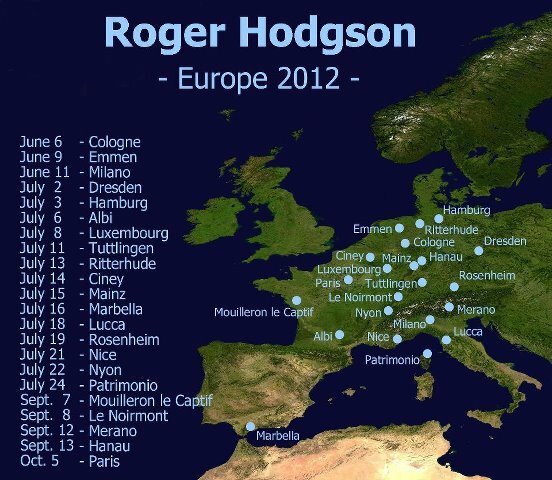 I figure that Mr. Hodgson will open with his uniquely bluesy-ethereal-mystical “Take the Long Way Home” (he often does), but even this foreknowledge can’t diminish my excitement: We’re at a Roger Hodgson concert! That Supertramp guy! That ubiquitous and magical voice! The energy sizzles in the sold-out hall. Now listen, I’m a seasoned critic. I can take anything apart, down to its molecules (or even atoms). And I’ve attended shows and shaken hands with some of music’s biggest and best icons, from James Brown to Donovan to Brian Wilson to Cyndi Lauper and Morrissey. 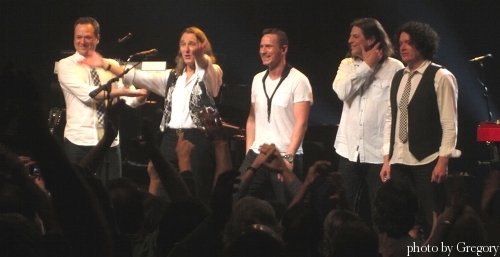 The Roger Hodgson concert experience? Wow. He and his band give us the hits like they’re brand-new gems (“The Logical Song” has never sounded fresher), they deliver album tracks like they’re part of your DNA (I’ve got a big crush on “A Soapbox Opera”), and songs from then and now which may be new to you (“Lady,” “Along Came Mary”) will become insta-faves. What makes me remove my thumb from my chin and embrace this experience not just as a showcase but ashow, however, is Mr. Hodgson’s presence, pure and simple. The lighting is pretty, the stage looks nice, the twelve-string rings out like a heavenly harp. But what Roger Hodgson is doing up there is basically the inverse of what most musicians do: He’s not dependent upon spectacle or posturing; rather, the songs stand entirely on their own, and indeed (although I’m no easy convert) he delivers them very much like a friend imparting wonderful gifts. It’s a further credit to him (and his band) that all the artistry involved feels transparent, not once blocking the fine songwriting and often glorious playing and singing. 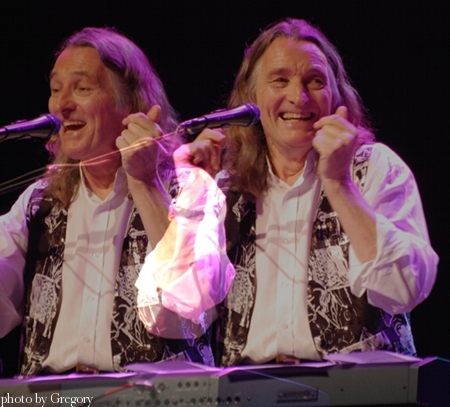 Earlier in the day, I asked the bard-turned-elder another question: Since he’s begun touring anew, Roger Hodgson has been experiencing many diverse cultures, in many nations, around the world. I sincerely wonder how he’s seen things changing, and/or what he’d like to see change. 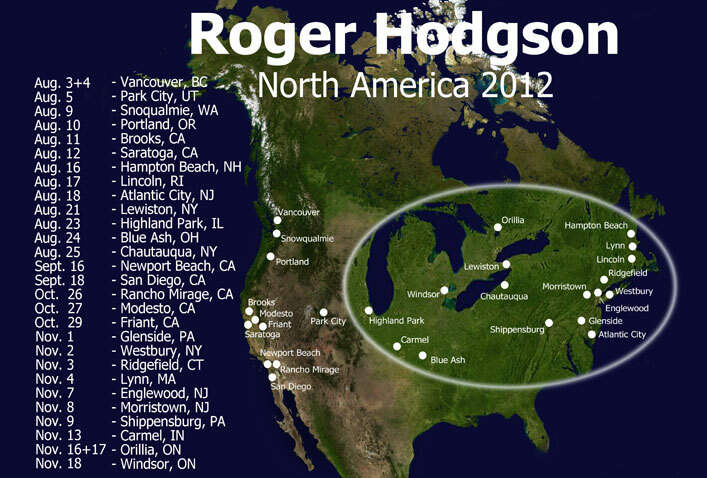 “Well, to me, it’s actually very simple,” Mr. Hodgson replies. “The common element, with all cultures really, is that everyone has a heart. And I think that’s what we’ve lost touch with. If we were really in touch with our hearts more, we couldn’t do a lot of the atrocities we’re doing to each other, and to the world. We couldn’t tolerate it. I think that’s why a lot of women, especially mothers, they can’t commit those abuses. “I think because we’re so caught up in external — whatevers, external desires, or whatever — it’s really a disconnection from the heart, that I think is causing a lot of the wars. Because you have to be totally numb to be able to commit the abuses that are happening. So I think that’s where the giant healing needs to happen. And I think unfortunately, as a world, mankind, we’ve chosen the hard way. It’s gonna come through with some real hard lessons. And we’re gonna be forced to feel deeply, we’re gonna be forced to work together, and co-operate, and care about each other, in order to survive. That’s just basically what we’ve created here. “Give a little bit!” He actually said it. So there you go.